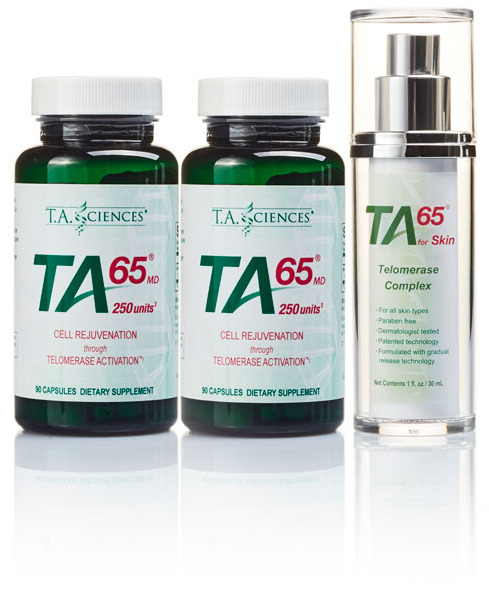 TA-65 makes it possible to lengthen the telomeres. On the one hand one has a chronological age that is expressed in years. On the other hand, they also have a biological age which can not be expressed in terms of years of age – it has to be determined by performing a test. Without this test, we can only speculate about the biological age based on how fit and healthy the person feels. The greatest wish of anyone is of course to have an enjoyable and trouble free later life. You may try to achieve this by living healthy. But this alone is not enough. A healthy living protects the telomeres against oxidative stress and inhibits cell division, including the shortening of the telomeres. Multivitamins show a similar effect, but stopping the shortening of telomeres is not the same as to actually make them longer. It is therefore important to consider TA-65 products and what they can do to help you. It’s easy to talk the talk, but in the case of TA-65 all statements are scientifically researched and proven. Users of TA-65 has shown they have such experiences as improvement of the immune system. In some cases, we speak of an increase bone density and improvement of biomarkers. Short telomeres would also be connected to high blood pressure, myocardial infarction, stroke, rheumatism, arthritis and cancer. You owe it to your body to take care of it well. Order TA-65 on this website with discretion and ease.